Aquaman left other movies in its wake in North American box offices this weekend, taking in an estimated $30.7 million, industry watcher Exhibitor Relations said Sunday. The DC superhero film, in its third week out, has now taken in a global total of $940.7 million. That makes it Warner Bros' biggest comic-book film since The Dark Knight Rises earned more than $1 billion in 2012, according to Variety. 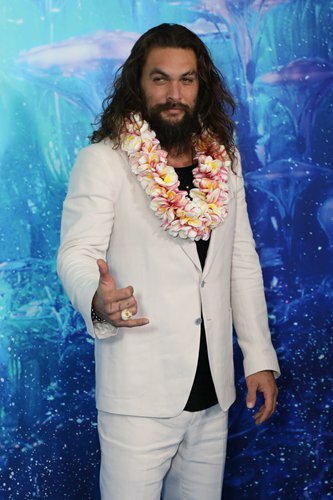 Jason Momoa stars as the heavily tattooed half human/half-Atlantean hero who struggles against evil forces to gain control of the powerful Trident of Atlan. James Wan, known for horror films like Saw, directed. In second place was new Sony thriller Escape Room, with $18 million for the three-day weekend - a strong start for a film that cost just $9 million to produce. Logan Miller and Taylor Russell star as part of a group facing deadly consequences when sent into an escape room. Third place went to Disney's family-friendly musical Mary Poppins Returns, at $15.8 million. The sequel to the beloved 1964 film stars Emily Blunt in the title role and Lin Manuel-Miranda as a limber and lovable lamplighter. In its fourth week out, Sony's Spider-Man: Into the Spider-Verse clung to fourth spot, with a take of $13 million. The superhero film won the Best Animated Feature Film Award at the Golden Globes on Sunday. In fifth was Bumblebee, from Paramount, at $12.8 million. The prequel to the Transformers movies stars Hailee Steinfeld and John Cena.